1. 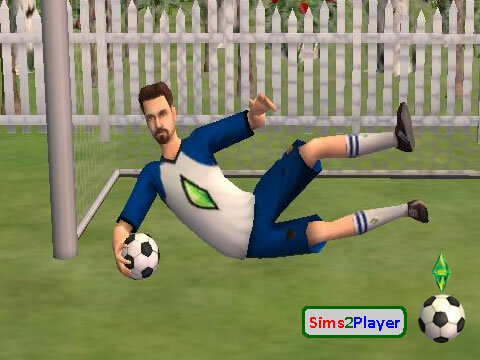 The default soccer net from Sims 2 only allows you to do penalty shootouts. How did you make them play a full 90-minute match? – This story is a result of creativity, imagination, photoshop editing, as well as familiarity with football and the Sims 2 base game premade characters / storylines. 2. What was the inspiration behind this story? 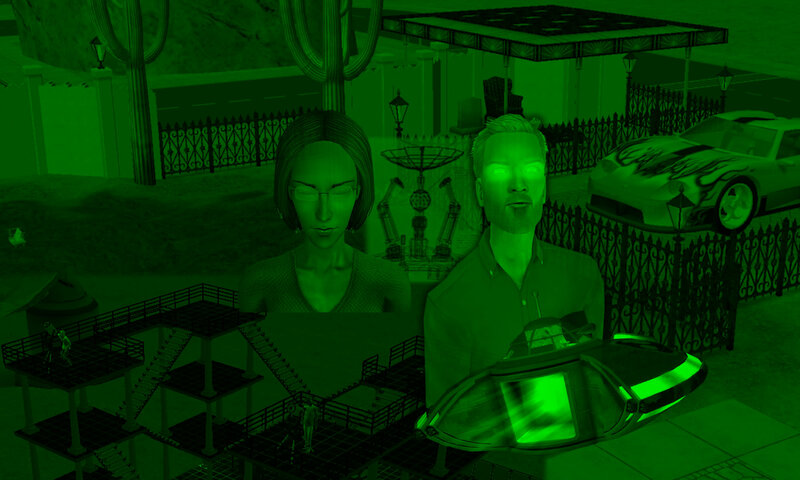 This tale was born out of the Football Playground community lot by Sims2Player, and a casual question from AldoHyde for the Starting XI of Sims 2 Base Game Neighborhoods. As AH cannot imagine a Veronaville Starting XI with Capps and Montys in the same team, S2P gave some sample lineups and suggested writing a joint fanon based on the lineups. The story/script is co-written by AH & S2P. All screenshots are taken and edited by AH, with the same default skin and eye replacements that he uses in STM. 3. Where can I find the football pitch? – This lot, “Hyde Dynamic Experimental Stadium”, is inspired by “Football Playground”, a community lot by S2P. At this time, neither of these two lots are available for public download. 4. How did you get rid of the plumbbobs and numbers from the soccer jerseys? 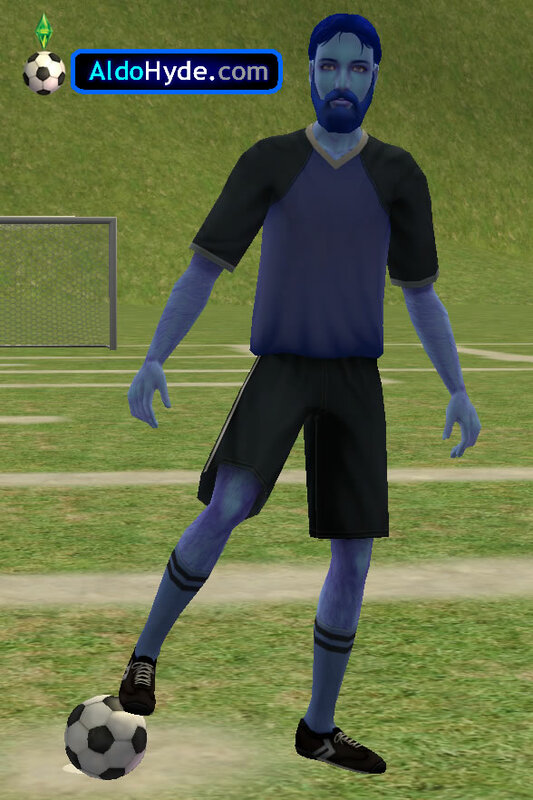 AH used [this mod] to change the default FreeTime soccer outfits, as seen in his other videos made before this Football Match. An entire team wearing the same-colored jerseys should also NOT have exactly the same number printed at the back, as is the case for the FreeTime default outfits. 5. How did you decide which positions each Sim should play in? We did some approximation based on the five Sims 2 personality scales, but keep things fluid, just in case. Eg. Loki Beaker’s low Nice score would probably make him an overly-aggressive defender, who risks being sent off too often. But his high Neat score may be translated into good shooting accuracy, so his best position may be a Striker. 6. Why didn’t you recreate the players using a FIFA computer game? – If we used this approach, we’ll have trouble replicating the detailed facial structures of Sims 2 premade sims. Using the Sims game will also make the story feel more Sims-like. Also, FIFA games (Fifa 15 & earlier) tend to focus on male players, but we want to include female players in our story too. 7. Why are the Goths not represented in Team PVCS? The authors figured that the Goth family has too much of an “old money” aristocratic vibe to condescend to play in the same team as the Brokes. In 2015, old Mortimer is not as qualified as Daniel Pleasant for the role of PVCS Manager. Cassandra simply does not give off as much athletic vibe as other more-qualified Pleasantview candidates. Alexander is underage. 8. What exactly is “offside”? AH explains this footballing concept with a [Sims diagram from the 2035 Match]. – They are AldoHyde’s CAS “Hyde Dynamic Racing Men”. Watch the “StrangeTown Monty” episodes 2.04, 2.05(A) & 2.05(B) to find out more. 10. I like this story. Do you have more like this? Read the [2035 Match], and/or watch STM.